Cape Town – The rand strengthened to R11.94 to the greenback on Wednesday morning, mainly driven by dollar weakness. The currency opened at R12.03/$, firming to as much as R11.94 by mid-morning. EasyEquities trader Musa Makoni explained that the dollar had been taking a “big hit” since yesterday, and has been under significant pressure for a while. He added that the local political situation is relatively quiet. “There’s nothing to disturb the peace,” he said. In his market update, TreasuryOne dealer Gerard van der Westhuizen echoed views that the rand’s gains were on the back of a weakening dollar as the euro firmed. “The DXY (dollar index) traded on the lowest point since December 2014 after consumer confidence in the eurozone rose by 1.3 points, which was well above the market consensus of 0.6 points. “Growth in the eurozone has been one of the main drivers of the EUR/USD exchange rate lately and the EUR rally does not seem to lose steam,” he said. There is also optimism over the UK economy, with sterling having risen to a new high. The dollar is $1.40 to the pound. 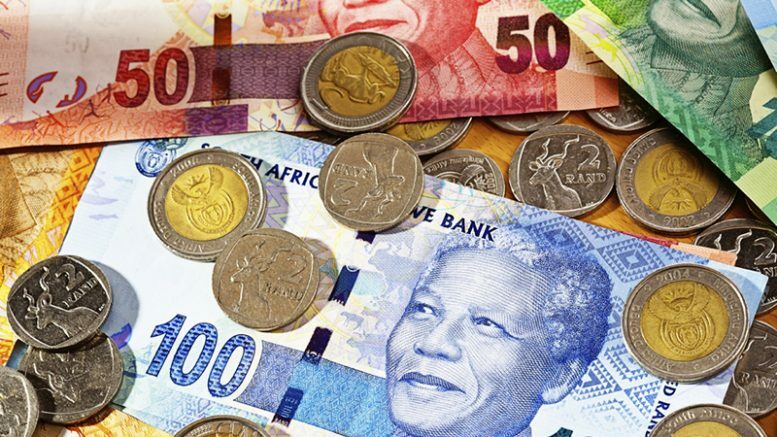 “The dollar is weaker across the board and this has helped the rand break the R12/$ level for the first time since 2015,” said TreasuryOne’s head of dealing Wichard Cilliers. He added that commodities are still on the up, which has also supported the rand strength. Locally, all the right steps are being taken to get “back on track”, said Cilliers. “This helped foreigners regain some lost confidence and they have been buyers of local equities this year so far,” he said. The portfolio inflows and the attractive yield SA can offer has helped build rand strength, he explained. Other developments in the US this week include the appointment of Jerome Powell as Federal Reserve chairperson, analysts from NKC Economics noted in a market update. He was nominated by US President Donald Trump in November. “He comes to the position amid a critical time for the Fed, which is normalising policy after years of extraordinary accommodation triggered by the financial crisis. “Though he was confirmed yesterday, he likely won’t officially assume his duties until Janet Yellen’s term expires in February. Yellen has said she will leave the Fed after Powell is sworn in, though her term does not expire until January 31, 2024,” the report read. Young professionals face retrenchment – do they have the correct cover? Be the first to comment on "Rand breaks below R12/$ for the first time since 2015"